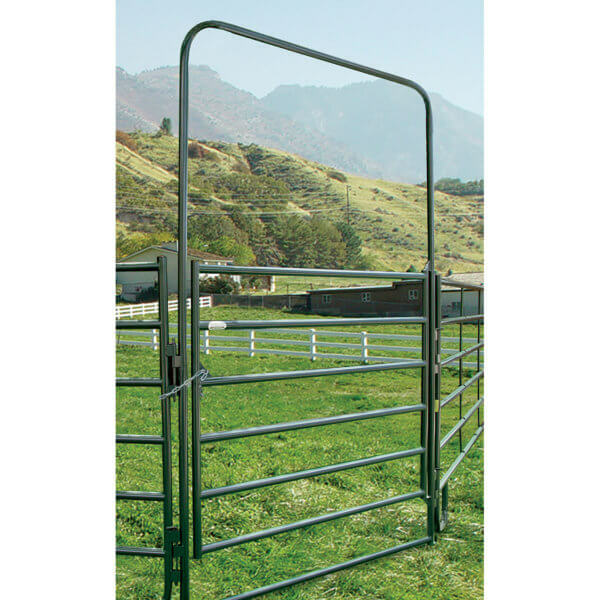 The Powder Creek bow gate is a nice addition to any area of panels needing a pass through where you don’t want to set posts and install a permanent gate. It is build with a 13 gauge bow frame and is 9′ high. the gate is build out of 18 gauge uprights and (6) 20 gauge horizontal tubes. The gate is finished with a powder coating in hunter green to match the Powder Creek line. The Powder Creek series of bow gates utilizes a chain latching system. 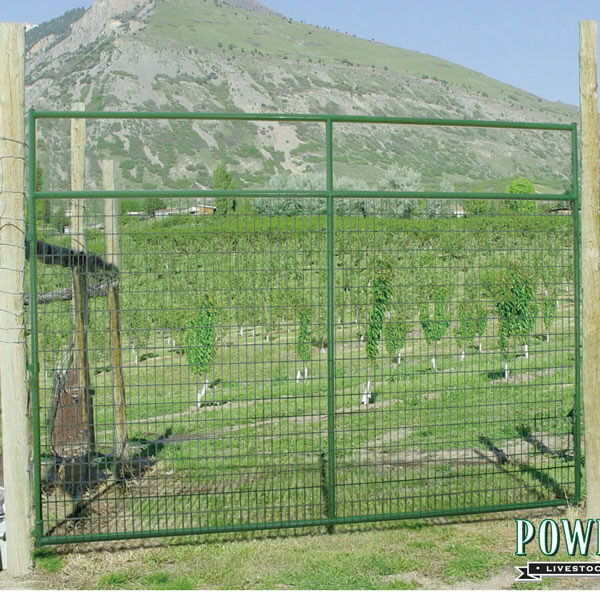 The gate can be pin into place on any of the Powder Creek panel and also any Powder River panels. 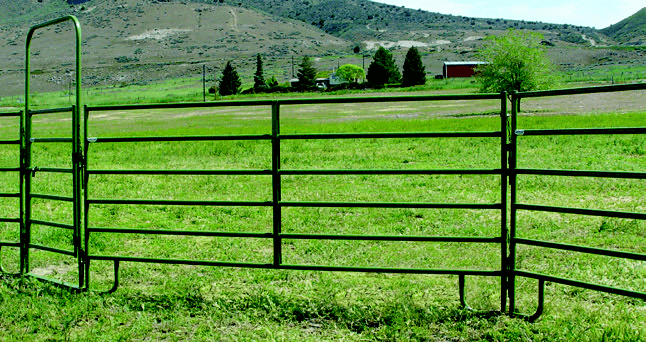 It is not recommended to use this gate in any high pressure cattle working zone.